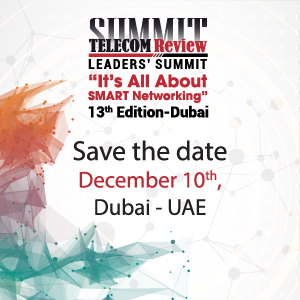 Tech-savvy consumers, ICT experts, and companies in every tech-related field were all present at the most-attended event in the Middle East. The 38th edition of the Gulf Information Technology Exhibition (GITEX) was held at Dubai's World Trade Center gathered over 4,000 exhibitors from 100 countries ranging from large companies to startups and government entities. Dubai's Crown Prince and Chairman of Dubai Executive Council, His Highness Sheikh Hamdan bin Mohammed bin Rashid Al Maktoum, opened GITEX 2018 and visited the stands of the most prominent technological companies. Each year, operators and vendors seize the opportunity of being present at GITEX to make important announcements, unveil new solutions and products and sign MoUs. Etisalat took visitors on a journey of the future with a showcase of digital innovations and solutions for consumers and businesses across zones focusing on 5G, retail, healthcare, education, smart living, IoT and a unique 3D showcase of the upcoming 'Expo 2020 Dubai'. The event also witnessed strategic partnerships of Etisalat with government entities like Ajman Municipality, Fujairah Department of Public Works, Sharjah Municipality, Ras Al Khaimah Municipality, Umm Al Quwain municipality and Shurooq. Dr Ahmed Bin Ali, Senior Vice President, Corporate Communication, Etisalat Group said: "Etisalat has always enthralled visitors at GITEX Technology Week with the unique global innovations we get on our stand every year. The showcases were unique as there was something new to learn, experience and witness in every zone. With the theme focused on 'Leading the 5G revolution' our every showcase was about how 5G can make these digital innovations a reality and become part of our lives. "Our main focus was on highlighting 'Driving the Digital Future to Empower societies' which is why every zone gathered the best in technology to take the visitors on this digital journey. We look forward to bringing more of such innovations and solutions next year and attract more visitors to the event from across the world." UAE telecommunications operator du, from Emirates Integrated Telecommunications Company (EITC) unveiled the much-anticipated 'Government in 2071' Guidebook Experience at GITEX Technology Week 2018, which is an extension of its deep strategic relationship with the World Government Summit. Complimenting GITEX 2018's theme, Experience Urbanism, the 'Government in 2071' experience allowed individuals to explore reflections of what the future may hold, based on societal and technological megatrends, where these megatrends collide, innovations occur and are expected to produce significant change across society. "We are proud to partner with du to bring this future-forward experience to life here in the UAE. The Government in 2071: Guidebook aims to help both government and private sector leaders, such as du, align their strategies with projected dramatic shifts in the coming decades. 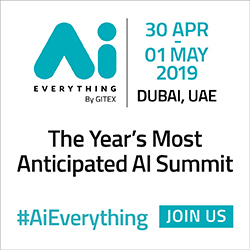 After all, with proper planning and agile decision making, leaders today can play a positive role in shaping the future of their companies or countries," said His Excellency Omar Sultan Al Olama, Minister of State for Artificial Intelligence and Managing Director of the World Government Summit. In addition, du partnered with Nokia at GITEX 2018 and successfully demonstrated 5G capabilities through a virtual reality (VR) game. Visitors at the event were able to experience the high speed and low latency of 5G through a football-related VR game. The demo showcased the difference in data throughput and latency of a 5G network in comparison with a 4G network. A user wearing VR goggles gets to take a penalty against a virtual football goalkeeper. In 4G mode - with higher latency - the shot is slower and thus easier for the keeper to catch the ball. When the mode is switched to faster 5G with lower latency, the user can score. Bernard Najm, head of the Middle East Market Unit at Nokia, said: "We have been closely working with du for the past few years. This successful VR demo is just one of the many innovative use cases enabled by 5G. New use cases provide an opportunity to add new revenue streams for telcos like du, and also help them enhance the happiness of their subscribers." Ericsson was present at GITEX this year as part of its partnership with Etisalat. The two digital giants demonstrated IoT accelerator capabilities, as well as locally develop and promoted use cases for the UAE transportation sector. The demonstrations included Secure Vehicle Tracking, Automotive Surveillance and eCall Accident Simulation Alert, which notifies authorities, emergency services, insurance providers, the Roads and Transport Authority, and other vital stakeholders of the occurrence of an accident. Additionally, Etisalat Digital and Ericsson showcased the latest smart parking and smart traffic light control solutions. STC had an exceptional presence this year at the event where along with ConsenSys, a leader in blockchain technology, it announced the launch of blockchain on STC Cloud, a move set to accelerate blockchain adoption in the Kingdom. It will provide enterprises and governments with a path to enable mass adoption of the technology through dramatically lowering the costs of prototyping and experimentation with blockchain. STC and ConsenSys showcased the new technology that allows clients to create blockchain nodes in a sandbox environment and build blockchain networks and test use cases without the need for infrastructure investment or heavy development. "Adding blockchain to STC's Cloud Marketplace allows customers to start a private blockchain network with a click of a button. This service is a unique innovative offering on our marketplace that helps organizations to rapidly build and deploy blockchain applications," said Talal AlBakr, Vice President of Cloud Services at STC Solutions. 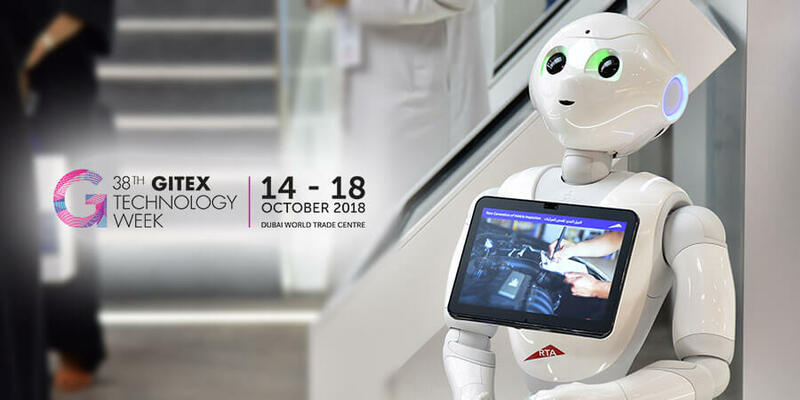 Smart Dubai concluded another successful participation in GITEX Technology Week, where it showcased its main strategies, services, and initiatives that seek to cement Dubai's global lead in the smart city sector. It collaborated with 59 Government entities and private companies in Dubai, who joined the exhibition under its umbrella and showcased ground-breaking smart government services that spread happiness among Dubai's citizens, residents and visitors. The Smart Dubai Pavilion at GITEX Technology Week 2018 garnered local and international attention, with its displays exhibiting Dubai's sweeping progress in terms of smart transformation. Huawei hosted the 5G Ecosystem Conference on the sidelines of the 3rd annual Middle East Innovation Day held during GITEX 2018. Under the theme "5G is Now, Sailing to New eMBB Horizons," the conference promoted a 5G Ecosystem in the Middle East by bringing together operators, regulatory agencies, industry leaders and other stakeholders to discuss 5G from a business, policy, and industry perspective. Huawei also unveiled a new research paper conducted in partnership with Analysys Mason, a global consulting and research firm specializing in telecoms, media and digital services. Titled "Unlocking Digital Opportunities with 5G", the White Paper reveals startling statistics about the impact 5G will have in the GCC, including the fact that 5G could generate almost USD270 billion for the regional ICT sector in the next decade. Huawei wrapped its 3rd Innovation Day with a panel focusing on Artificial intelligence and its impact of different industries. Moderated by Toni Eid, CEO, Trace Media, the panel discussed the importance of raising awareness on Artificial intelligence and how it will actually improve lives. All panelists agreed that AI should be used for the good of human beings and to fill the digital gap still existing in many countries around the world.